The Easy Start Unloader Plumbing Kit from AR makes sure your water goes where you want it and keeps excess water inside the pressure washer. So you aren't wasting water and you are saving water at the same time. Yes, your high-powered pressure washer just became that much more effective. And best of all, this kit comes pre-assembled. Just install it and begin working more immediately. 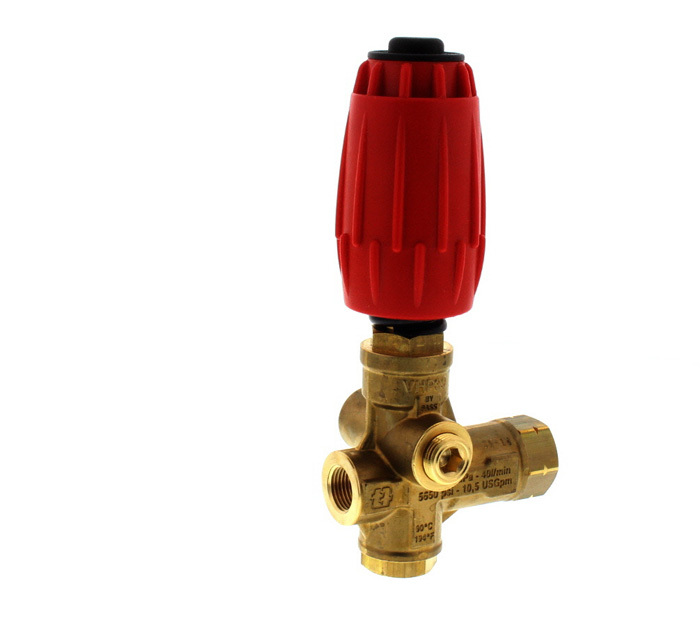 The AR unloader includes a brass valve body with a stainless steel ball & seat. It adjusts from 100 PSI up to max PSI with an adjustment knob that features a tamper resistant setting. 11.5 GPM @ 5650 PSI max, 190 F. Deg max, 3/8" F inlet, outlet & bypass. 2 inlet & bypass ports. Includes built in easy-start feature. Must be mounted in vertical position.